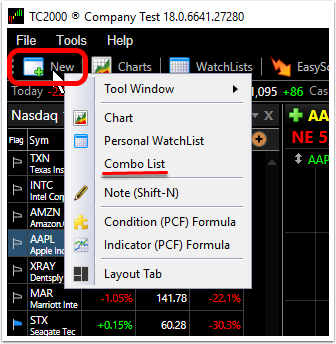 A Combo List is a special WatchList that allows you to combine multiple existing WatchLists (both system and/or personal) into a single WatchList. 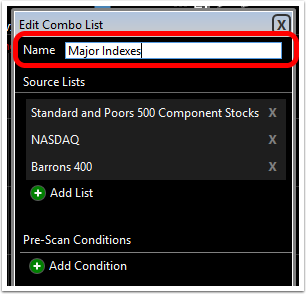 Any system lists used in Combo Lists will be maintained automatically at TC2000. 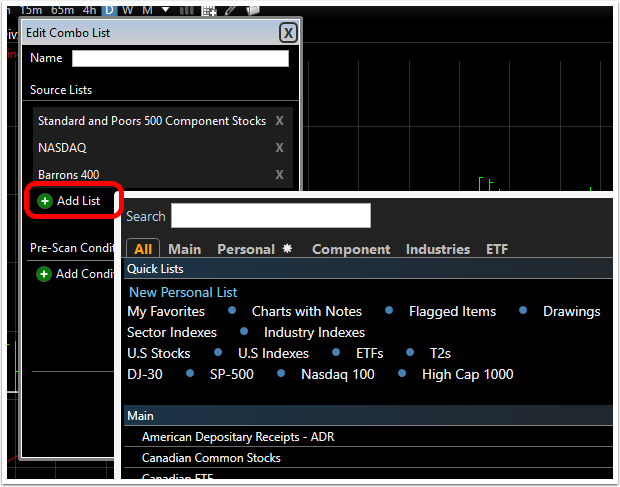 Any personal lists used in Combo Lists will remain current with any changes you make in those lists. 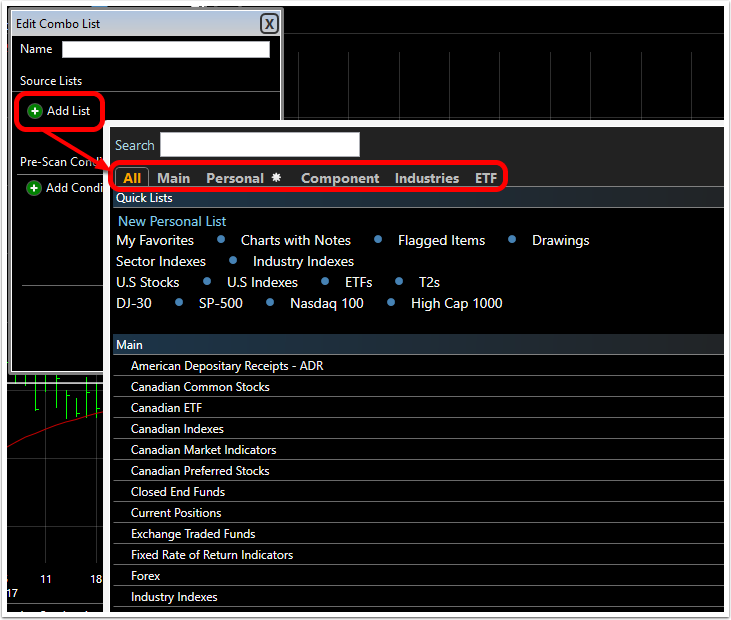 You can also add basic Pre-Scan conditions to a Combo List to filter the combined WatchLists. The steps below show you how to combine the WatchLists. 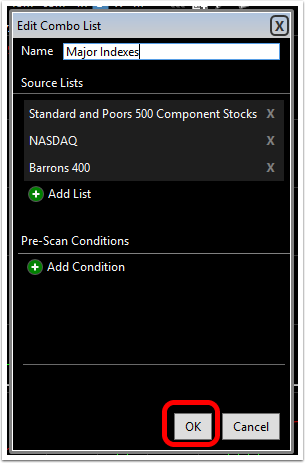 You can also add conditions to the combined watchlists in this menu. 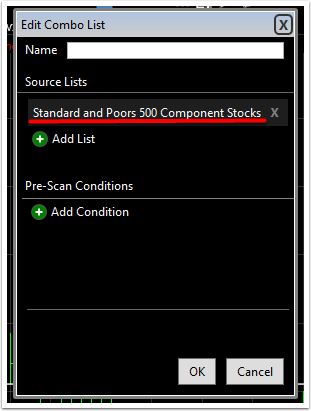 Both WatchLists and Pre-Scan Conditions can be saved together in a Combo List. Click here to learn how.